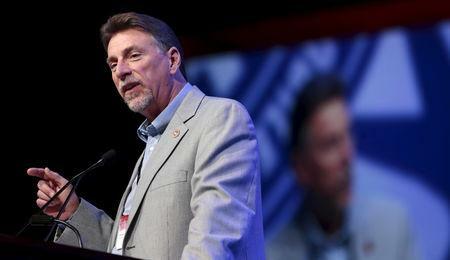 WASHINGTON (Reuters) - U.S. prosecutors in Detroit on Monday charged a former high-ranking United Auto Workers official in charge of the labor union's relations with Fiat Chrysler (FCA) of misusing funds for lavish purchases for himself and other union officials. Norwood Jewell, who headed the UAW's FCA department from 2014 until his retirement in January 2018, was charged with conspiracy to violate labor laws and accepting improper payments in a criminal information - often a precursor to a plea agreement. Jewell is the highest-ranking former UAW official charged so far in a wide-ranging investigation into illegal payoffs to UAW officials. To date, seven people have been sentenced in the government's ongoing corruption investigation. The court document says Jewell used a National Training Center credit card and approved UAW officials to use their credit cars to make over $40,000 in purchases for himself and others. Prosecutors say FCA officials conspired to divert over $4.5 million in training center funds intended to pay for training for union members for use by UAW officials. A lawyer for Jewell did not immediately comment. The UAW said in a statement it was "deeply saddened" by the court filing, adding it has "implemented many reforms and enacted new policies to prevent any misuse of funds... we will continue to vigilantly review our practices to make sure any lax financial controls are identified and fixed going forward." FCA said Monday it "firmly restates that it was a victim of illegal conduct by certain rogue individuals." The company said those individuals' actions were "neither at the direction nor for the benefit of the company" and had no impact on collective bargaining. The fresh charges come at a sensitive time for the UAW, which is gearing up for contract talks later this year with FCA, General Motors Co and Ford Motor Co. The union has tried repeatedly to move beyond the scandal, insisting that the misuse of funds involved just a few people. The National Training Center is a separate entity from the UAW that receives no union dues. 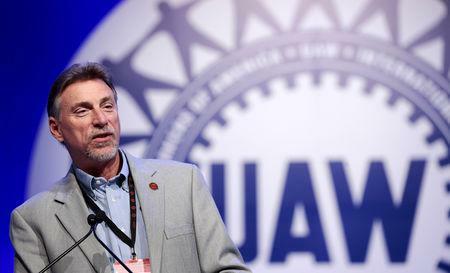 Prosecutors said Jewell was "responsible for administering and negotiating the collective bargaining agreements" on behalf of tens of thousands of UAW members. A criminal information is a charging document typically filed before a defendant pleads guilty. A spokeswoman for the U.S. Attorney's Office in Detroit said no date for an arraignment or plea has been set. Last year, Alphons Iacobelli, a former FCA vice president of employee relations, was sentenced to more than five years in prison for making at least $1.5 million in improper payments to UAW officials.